H.J. 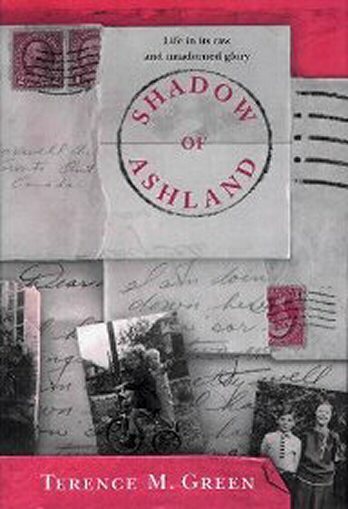 Kirchhoff Toronto writer Terence Green's novel Shadow of Ashland, first published in 1996, also begins with a death -- or at least with a deathbed request. Before she dies, Leo Nolan's mother wants to see her brother, Jack Radey, from whom she has been separated for 50 years. That doesn't happen, but shortly after her death, postcards -- postmarked Ashland, Ky., in 1934 -- begin arriving from Jack. Leo investigates, and his quest takes him from contemporary Toronto to Ashland in 1934 (literally). This thoughtful, quick-paced work is a mystery, a sensitive portrait of smalltown, Depression-era Kentucky, and a study of family and other relationships.